We offer you a fully automated ordering system offering a wide variety of seasoned trade lines, 24/7 online access, support, competitive pricing and the option to pre-order trade lines. It’s easy, convenient, fast and secure. P We add you as an authorized user to one of the tradelines that has the available limit and positive payment history. i.e. (Bank of America, Chase, Discover, Wells Fargo, CITI) then reports the positive credit history including the age of the account, the limit to the tradeline and the positive payment history to Experian, TransUnion and Equifax. age, and limit have direct impact on the FICO credit score module which impacts your utilization ratio, average credit age and payment history. We take the stress away from buying or reselling authorized user trade lines with our 60 Day Money Back Guarantee! What do seasoned trade lines help you do? Authorized user trade lines are a powerful tool for achieving your financial goals. They can describe the status of your credit account, monitor the activities in your credit history and can even help you increase your credit score. A tradeline gathers information by creating an entry to your credit history for the credit grantor. The information gathered includes the list of the companies related to your accounts, the dates in which your accounts were opened, the types of accounts that you have, the payment history of your accounts, the owed balances in your accounts, your credit limits and more. Basically, trade lines provide you a report of your account for you to achieve and maintain a good credit score. In this article, we will dig much deeper for you to better understand the reasons why it is wise to buy authorized user trade lines. What are authorized user trade lines? To make everything clear for everyone, let us start with the basics. Authorized user trade lines refer to the credit card account where you are added as the authorized user. A “tradeline” is the account listed in a credit report, such as credit cards, auto loans, mortgages, and others. An “authorized user”, on the other hand, is the person who has been given access to an account as a user. This person acting as a user, however, is not necessarily accountable for the balances in the said account. The term “authorized user trade lines” refers to the credit enhancement technique that allows people to give payments to be added as an authorized user. This credit enhancement technique is commonly used to make the history of an account appear on the authorized user’s account. This technique is widely used as it can dramatically improve credit standing. Why buy aged authorized user trade lines? There can be a number of different reasons to buy authorized user trade lines. Below is the list of the biggest, most important factors why you might want to buy authorized user trade lines. Authorized user trade lines give you accurate credit report. With an authorized user tradeline, you can keep track of your credit account status on a regular basis. 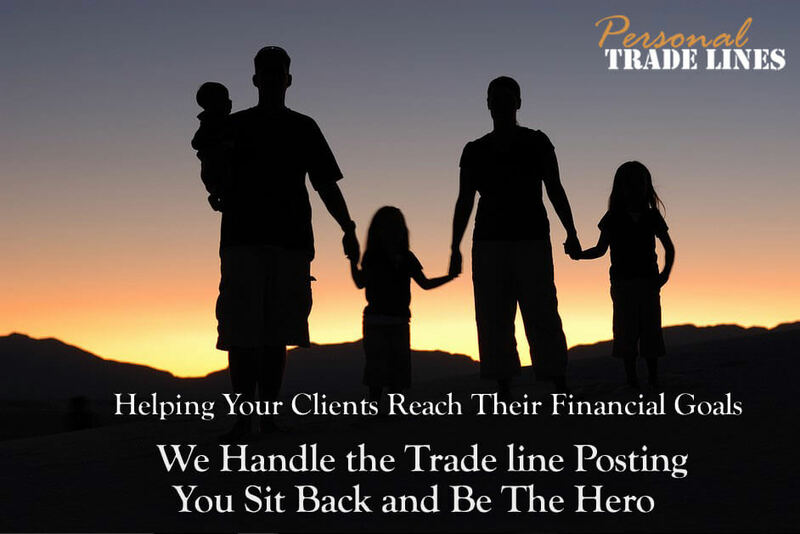 There are authorized user trade lines for sale at PersonalTradelines.com. This trade line company is widely-known for their 100% guaranteed post. Their fully automated ordering system offers a wide range of trade lines with online access, customer support, and several options of pre-order trade lines. Working with this company is fast, easy, convenient, and secure for you. With its money-back guarantee, you can feel comfortable working with this trade line company to achieve your biggest financial goals. Wholesale authorized user trade lines help you with your financial plans. Every one of us has our own financial goals and authorized user trade lines can help a lot as we try to achieve these goals. You may be planning to get a loan for your car, pay for a mortgage for your dream house, or you may just simply be planning to qualify for a credit card. Regardless of your plans, when it comes to managing your credit account, authorized user trade lines can always help. Authorized user trade lines can increase your credit scores. Authorized user trade lines are revolving credit lines where someone uses the account as an authorized user account holder. “Authorized user” is the term used as the person is merely an authorized person to use the credit card, not someone who has an obligation for the repayment. This will make the trade line appear on the user’s credit report. In addition, the authorized user will inherit the characteristics as well as the previous payment history of the account. A good standing account will, then, have increased credit scores with the addition of the authorized user to the account. Aged authorized user trade lines work through time. Authorized user trade lines work along with the course of time. There have been a number of changes in the industry and authorized user trade lines have managed to shift along with these changes as they come. Authorized user trade lines are available 24/7. Authorized user trade lines are not difficult to find. They are available at any time. There are a number of trade lines for sale online. PersonalTradelines, for example, has more than 5,000 authorized user trade lines. These trade lines are available at wholesale prices. What are the benefits of authorized user trade lines? Authorized user trade lines can give you many different benefits. With the use of authorized user trade lines, you can achieve a good credit score. 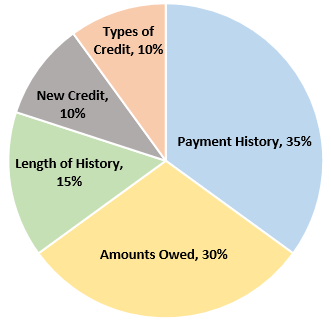 In turn, a good credit score can help you open a number of significant opportunities. With a good credit score, you can qualify for credit cards, loans, and mortgages. You can also get a great credit account with a high limit and with zero percentage of APR. Plus, you can establish business credits. With the use of authorized user trade lines, you can refinance your existing loans so you can have lower interest and lower monthly payments. When do you need authorized user trade lines? You are in great need of the use of authorized user trade lines if you have low or poor credit purchase. Trade lines can help you conquer your credit score. While people with low or poor credit account need trade lines the most, those with higher credit scores can make use of this tool as well. Authorized user trade lines can especially boost credit score if the trade line has a low balance, a good payment history, and a great longevity. Thus, it is ideal to make sure that the trade line that you choose is in good standing. Authorized user trade lines can give you many different benefits. With these benefits, you already have all the reasons to buy trade lines. If you’re new to this credit enhancement approach, you may have a lot of questions somewhere in your mind. The only way to be able to answer those questions is to give it a try. I guarantee it’s worth the investment. You will get far more than the increase of credit score. Authorized user trade lines will help you achieve your goals. That’s for sure.